After an interactive discussion with Kuya Daniel Razon on the program, Get It Straight, Senator Joel Villanueva caps the interview with a Café Latte and Red Velvet Cake. 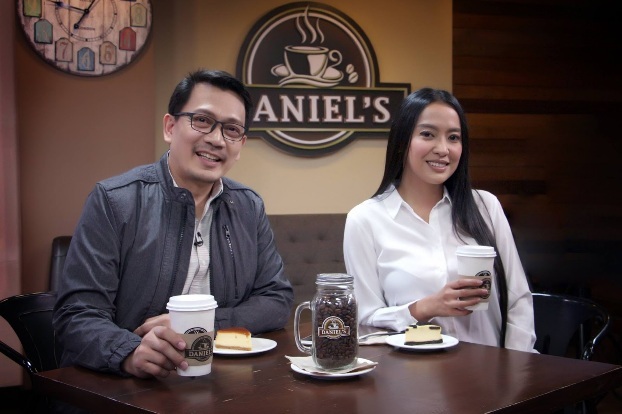 For giving something different more than coffee, Daniel’s Coffee will celebrate its second anniversary with a week-long programme at the UNTV News and Rescue Building in Quezon City, from June 11 to 15. There will be five sets of programs each day of June 11 to 15: 7AM to 10AM, 10AM to 1PM, 1PM to 4PM, 4PM to 7PM, and 7PM to 10PM. 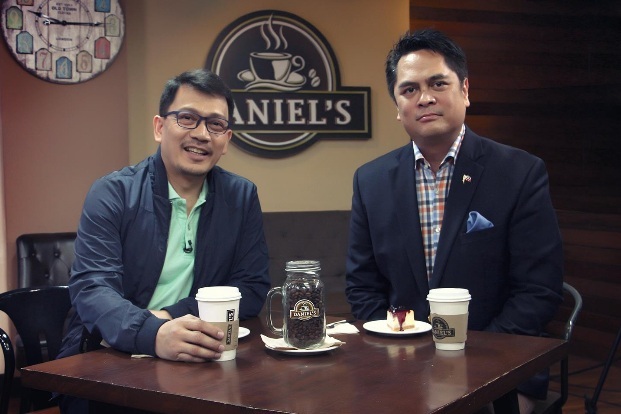 The unique concept of the coffee shop owned by BMPI CEO and President Kuya Daniel S. Razon soon materialized out of the idea of turning the television studio for his Get it Straight with Daniel Razon program into a coffee shop. Get It Straight guest, Presidential Communications Secretary Martin Andanar stopped by at Daniel’s with Kuya Daniel Razon for coffee and pastry. “What I really wanted is, like me and my guest, to be drinking in a coffee shop and having a conversation by asking direct questions. Then there would also be people eavesdropping on us there,” said the Philippines’ Mr. Public Service. “Most of the time, in a coffee shop or anywhere else, when we hear other people talking about something interesting, not for the sake of eavesdropping or what, but especially if you overheard the conversation by accident, you become interested,” said Kuya Daniel. Thankfully to God, the once-only-a-dream cafe was inaugurated by the veteran broadcast journalist in June 2016. For its customers, the gourmet coffee shop served as a relief, a hub to temporarily stay and relax and be away from the day-to-day stress of city life. Great-tasting coffee aside, the menu are affordable. Aside from its unique studio concept and calming ambiance, Daniel’s Coffee also has remarkably appetizing line of pastries to match its handcrafted coffee blends, may it be hot, iced, or blended. Kuya Daniel personally ensures that customers are satisfied with everything Daniel’s Coffee has to offer. Daniel’s pioneer branch inside the UNTV Building is located at the heart of Quezon City’s soon-to-be central business district along EDSA. It is also just a stone’s throw away from Quezon City’s large shopping malls, condominium residences and MRT’s North Avenue station. 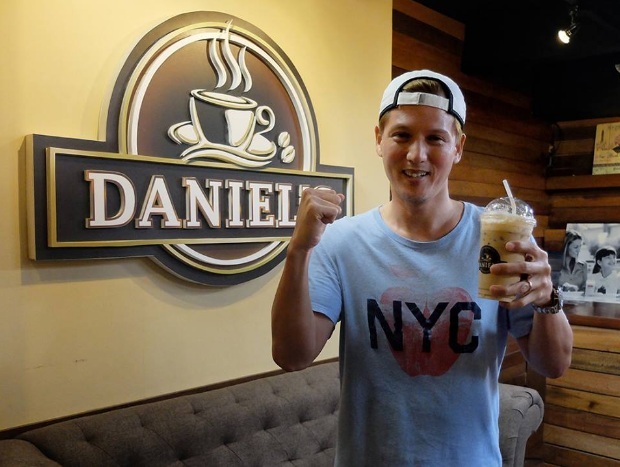 Well-known personalities from the government sector, entertainment business, and the media industry, were among those who have already sipped their cup of coffee at Daniel’s. This is another plus for the coffee shop’s customers who will have a chance encounter with the notable guests because of its strategic location. 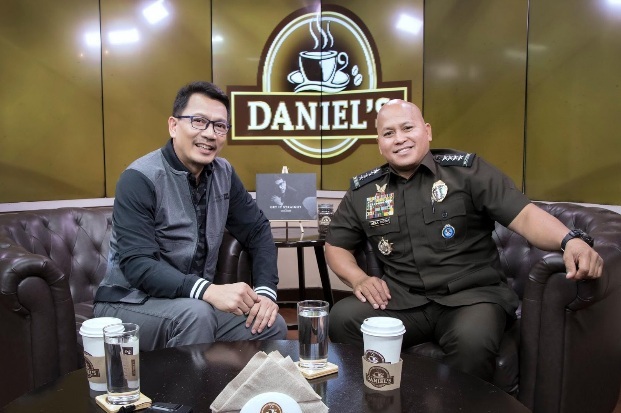 After an engaging discussion with Kuya Daniel Razon for the program Get It Straight at Daniel’s broadcast studio café, Bureau of Corrections Director General Ronald “Bato” Dela Rosa goes for a Daniel’s Special Hot Choco Creamy. The coffee shop also served as a venue for UNTV’s entertainment program, like Wish FM 1075 when it went on air on the television network. The early morning magazine program Good Morning Kuya also utilizes the coffee shop for some of its segments. 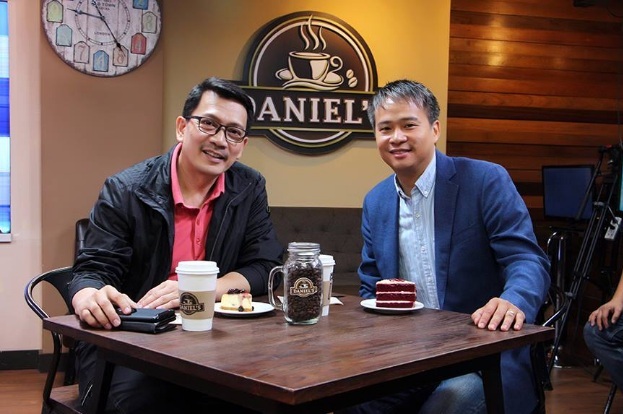 Apart from accommodating live studio audiences for the Get It Straight with Daniel Razon program, Daniel’s coffee shop is being used for educational purposes like symposium area by the Bible Readers’ Society of the Philippines to watch Bible Expositions. Live concerts are also being held at the venue called Daniel’s Live, where guest artists perform to entertain the customers there. Daniel’s Coffee is located at the 1st floor of UNTV Building, 907 EDSA Philam Homes, Quezon City, Philippines. The store is open Mondays to Saturdays from 6am to 10pm. Check out Daniel’s Facebook page and Instagram account for more.